The onset of fall inevitably brings excitement, particularly in the form of cozy sweaters, leather boots, and wool hats. 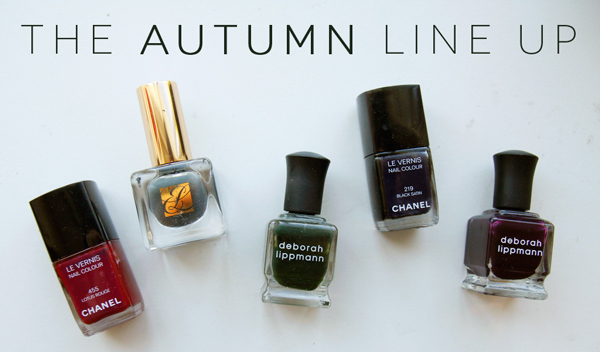 Aside from sartorial fun, though, I also always anticipate changing up my nail colours as the seasons shift. This year, I’m looking forward to sporting subdued, darker hues like smoky greys, deep eggplant purples, and dark, military greens…. as well as classic reds and pure blacks, of course. 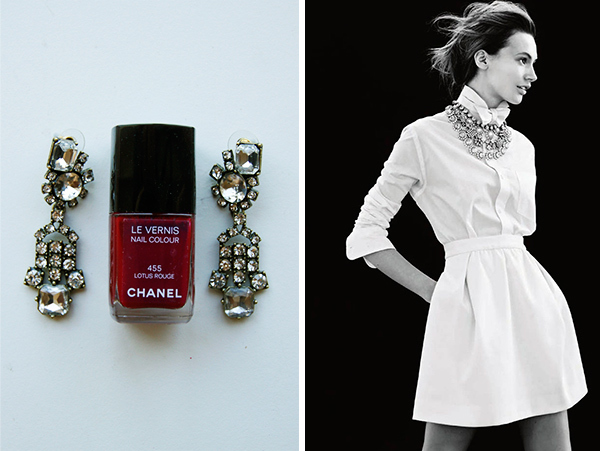 What nail colours will you be wearing come autumn? What a fun post! I love switching my nail colors into fall, I’m a huge fan of Deborah Lippmann, you’ve chosen great colors! Oh how I love switching up nail colors for the season! 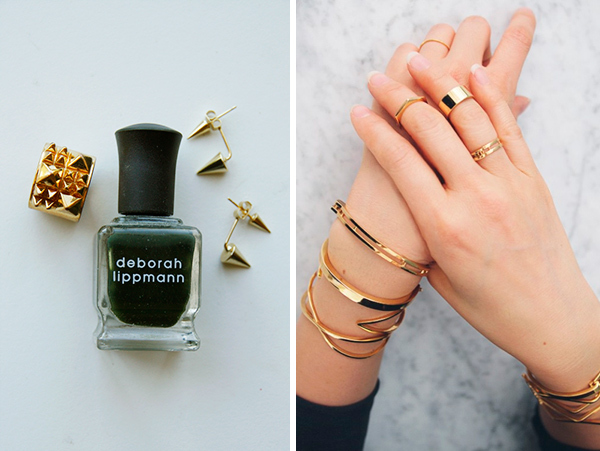 I’ve got my eye set on the new Deborah Lippmann collection, particularly Glitter and Be Gay and Laughin’ To The Bank! And I’m always a big fan of classics reds for fall/winter, too! I LOVE fall nail colors. Loving all the colors you picked! Also all the accessories shown are so chic! I want every nail polish on this post. LOVE these photos! Makes me so excited for fall 🙂 Especially love the gold jewelry, absolutely loving that right now! Stunning color choice for fall nails! I’m in love with the Chanel black satin! i love the darker nails for the fall! 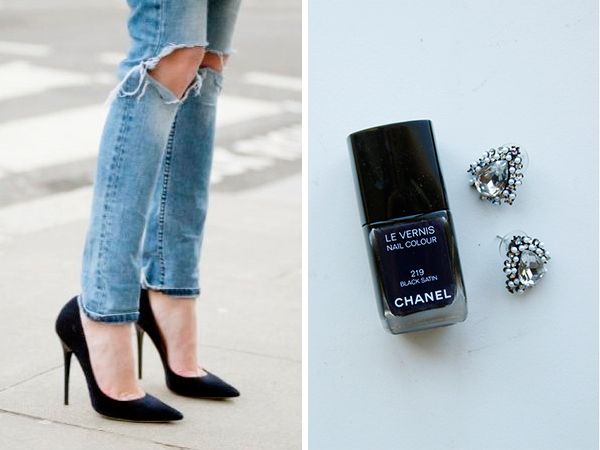 i love Chanel Blue Satin. … I have never tried Black Satin before! I’m loving that Estee Lauder Caviar up there! I’m a huge fan of eggplant colors as well as hunter green, so I’ll be excited to sport those soon… soooo happy it’s almost fall!